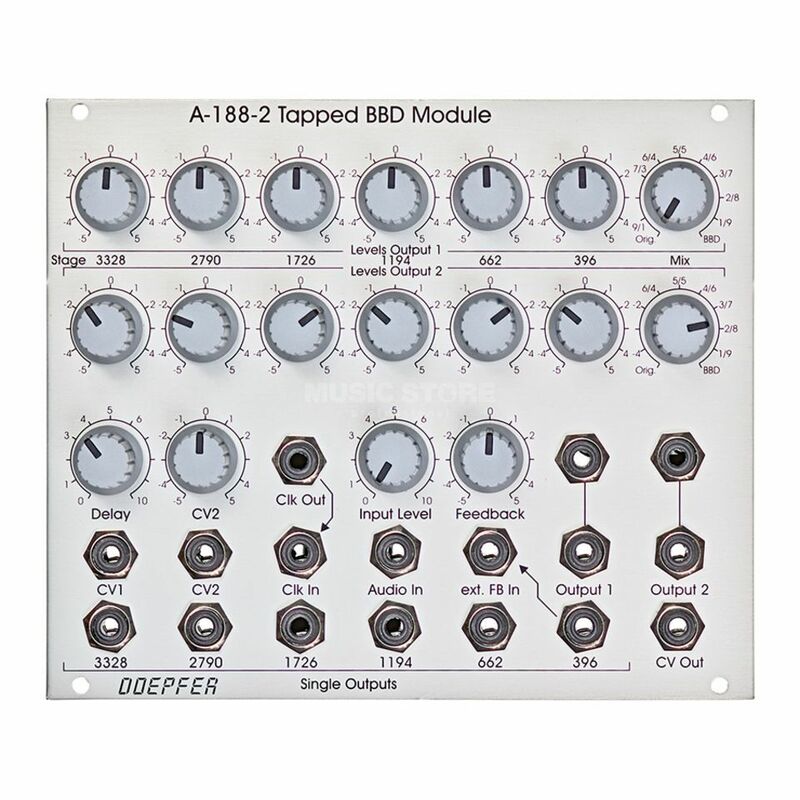 The Doepfer A-188-2 is a tapped bucket brigade delay (BBD) module for the Eurorack A-100 sytem. Drawing on a similar idea to the A-188-1, the main difference between A-188-1 and A-188-2 is the type of BBD circuit that leads to completely different module principles and sounds. The A-188-1 uses different single BBD chips with one signal input and one signal output only. In contrast the A-188-2 uses as so-called tapped BBD that has six outputs available - the so-called taps after the BBD stages 396, 662, 1194, 1726, 2790 and 3328. A BBD delay is used to create spacey and colourful delays that can sound dark and grungy, though to faster slapback effects, as well a chorus and flanger effects.